When do I take the test? When do I apply? These are common questions pre-health students ask. While the application open dates and deadlines remain the same from year to year, when a student chooses to apply is a very personal decision. There is not a right or wrong way to do it. We encourage students to talk out their plans with an advisor before settling on a timeline. There are clear advantages to taking a gap year, but many students choose to apply during the summer before their fourth year in order to start professional or graduate school right after graduation. 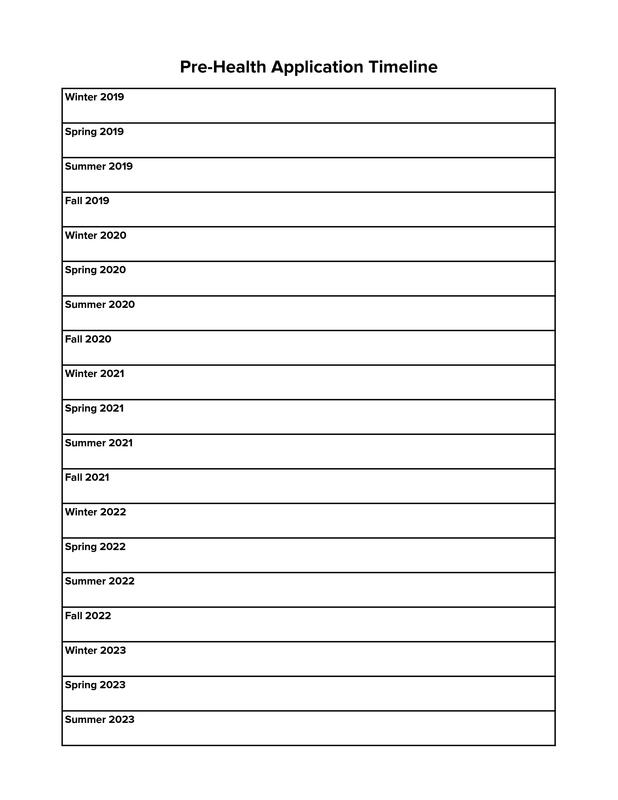 We included two SAMPLE timelines below: a gap year and a straight through. PLEASE NOTE: These are not a prescription or a plan for you. This is an example of how you can do it, but this may not work for you. 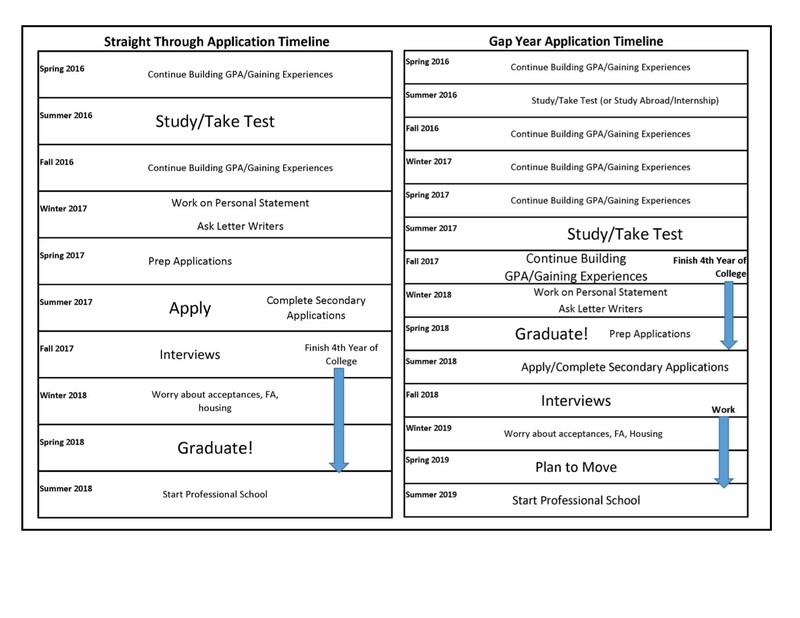 Use this template to plan your application timeline. When should I asked for letters of recommendation? - Know the schools to which you apply in order to tailor your application to them. Do not copy and paste the same essay into multiple schools' secondaries. - Edit your secondaries carefully. Be sure not to include the wrong school name because you are in a rush and forget to edit. Never send first draft writing. Don't leave questions blank. If they ask an optional question, answer it.